A couple months ago, Judy, a longtime friend of Exponent II, sent me an email about a prayer she had heard in a yoga class that she loved. 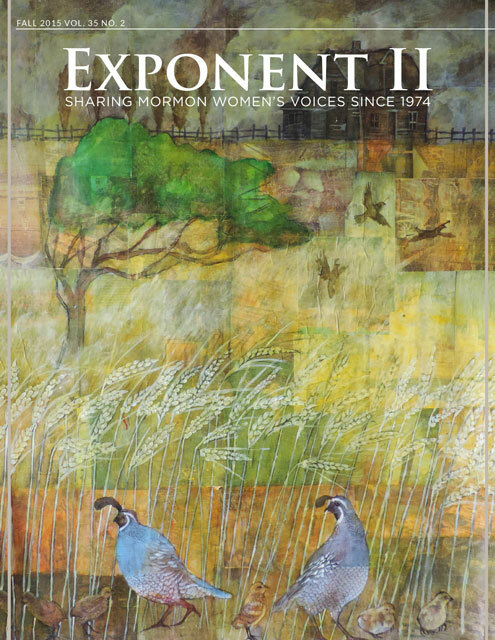 I thought this was a terrific idea for a compilation post — prayers that members of Exponent II have heard and loved over the years. What prayers have you loved? Please feel to share in the comments. Father, Mother, Brother, Friend, I come before Thee that my spirit might commune with Thee. Help me to know that I am Thy Loving child and remember always that Thou and I are one. Aom, Peace, Amen. I wrote this as a poem and ended up using it as an actual prayer. It’s become my favorite prayer. May this prayer of love and gratitude fly swiftly to your ears. in every human face and so offer thanks for your presence in the world. Thank you for transforming water into wine and hearts of stone into flesh. times with the birth of my children. Thank you for daily calling us toward you. precious life.” And for the poetry of each new day. I misheard it routinely through childhood (what is a food tooaroo? Snethtothy self and service?) but as an adult I like it. LDS people regularly pray for our food, but our food prayers don’t consecrate us to God and to service. I like the idea of doing that at meals. I found this prayer by Holocaust survivor Elie Wiesel profoundly moving. I no longer ask You for either happiness or paradise; all I ask of You is to listen and let me be aware and worthy of Your listening. I no longer ask You to resolve my questions, only to receive them and make them part of You. I no longer ask You for either rest or wisdom, I only ask You not to close me to gratitude, be it of the most trivial kind, or to surprise and friendship. Love? Love is not Yours to give. As for my enemies, I do not ask You to punish them or even to enlighten them; I only ask You not to lend them Your mask and Your powers. If You must relinquish one or the other, give them Your powers, but not Your countenance. They are modest, my prayers, and humble. I ask You what I might ask a stranger met by chance at twilight in a barren land. I ask You, God of Abraham, Isaac, and Jacob, to enable me to pronounce these words without betraying the child that transmitted them to me. God of Abraham, Isaac, and Jacob, enable me to forgive You and enable the child I once was to forgive me too. I no longer ask You for the life of that child, nor even for his faith. I only implore You to listen to him and act in such a way that You and I can listen to him together. This is a blessing I wrote for my pastor’s ordination to elder. I’ve adapted it here. Were called to the desert. In this wild and scorching place. The heat of the desert. We do it 3 times, once for yourself, once for your loved ones and pets, and once to the world. Its a wonderful and peaceful way to end the class. I love the idea of the greeting “Namaste.” Before going to Nepal, I’d only ever encountered the word at the end of yoga classes. In Nepal, it’s used as a rote, quotidian greeting. But I love the idea behind it. “The divine in me greets the divine in you.” A reminder that we are more than our mortal clothes of clay. I love prayers of thanksgiving — this one is from the Auckland Museum. This exercise of gathering prayers is such a beautiful idea, and the prayers themselves are marvelous. Thank you so much for sharing these.